The World Boxing Super Series final and unification bout between Aleksandr Usyk (14-0, 11 KOs) and Murat Gassiev (26-0, 19 KOs), one of the most anticipated boxing match-ups in years, will take place on Saturday July 21 at the Olimpiysky Sports Complex in Moscow, Russia. Comosa AG is very happy to announce a date and venue for the spectacular Cruiserweight Final. The Olimpiysky Sports Complex in Moscow will provide an amazing location for the first Ali Trophy Final in history with two supremely gifted athletes with rare opportunity to write history. Plans to hold the final of the inaugural season in May had to be revised after Usyk declared that he had sustained an elbow injury during his training camp. The injury was checked by Comosa approved medical staff who agreed with the extent of the injury and recovery timeframe. This meant that the cruiserweight final date, and therefore venue, had to be moved. The winner in Moscow on July 21 will be the first one ever to take home the Muhammad Ali Trophy. The first cruiserweight ever to unify the titles in the four-belt era. And he can also add RING Magazine’s vacant cruiserweight championship belt. The route to the final in Moscow was paved with drama exceeding the expectations and the tournament’s number 1 seed Usyk and 2nd seed Gassiev both awed in their quarter- and semi-finals. London 2012 Olympic gold medalist, Ukrainian Aleksandr Usyk, kicked off the cruiserweight tournament September 9 last year by spectacularly stopping Marco Huck, a former record-breaking World Champion, in the 10th round in Berlin, Germany. 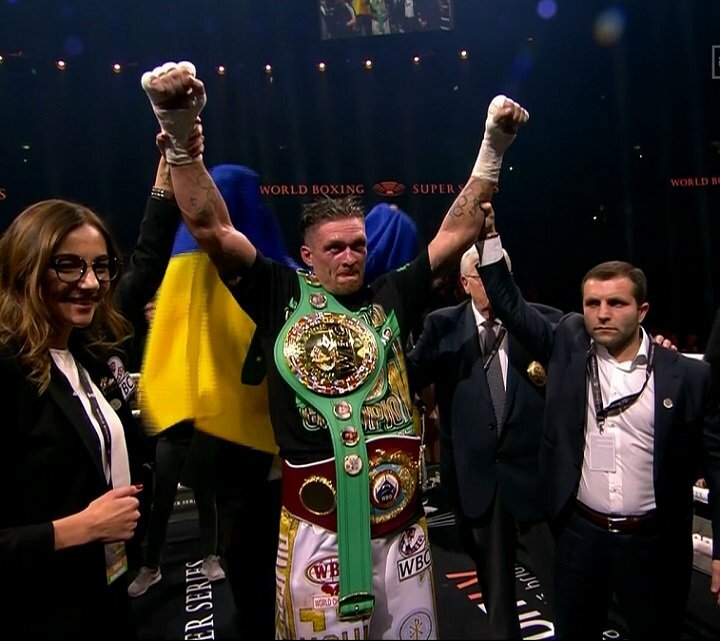 In his semi-final against WBC World Champion Mairis Briedis in Riga, Usyk won a majority points decision after an action-packed thriller with great heart and unrelenting pace throughout the 12 rounds. Russian Gassiev, the youngest member of cruiserweight lineup, needed just three rounds in his quarter-final in Newark, USA to dispatch the former World Champion Krzysztof Wlodarczyk with a devastating body shot. In an ultra-entertaining semi-final in Sochi, Russia Gassiev stopped the previously unbeaten WBO World Champion Yunier Dorticos with just eight seconds remaining of the 12th and final round. And the dream final between Aleksandr Usyk vs Murat Gassiev became reality. Details on the Ali Trophy Final in Moscow July 21 will be revealed in due course. Fans are asked to sign-up for ticket alerts here or at worldboxingsuperseries.com to receive the Ticket Link directly to their inbox and avoid disappointment. Previous boxing news: Fire Fist Boxing Promotions Inks Mark Reyes Jr.